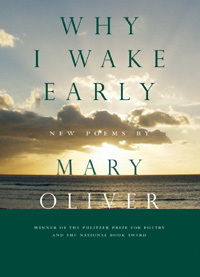 Nature poetry by the winner of the National Book Award and the Pulitzer Prize for Poetry. Includes poems on crickets, toads, trout lilies, black snakes, goldenrod, bears, greeting the morning, watching the deer, and finally, lingering in happiness. Each poem is imbued with the extraordinary perceptions of a poet who considers the everyday in our lives and the natural world around us and finds a multitude of reasons to marvel.